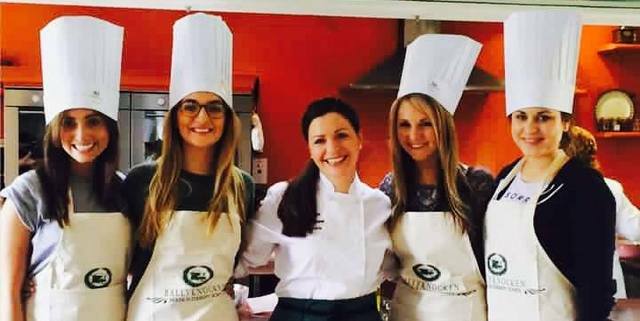 Catherine Fulvio is known in Ireland and beyond for her many Cookery TV series, her food writing for national and international media and for her many cookbooks. At home she runs Ballyknocken house and Cookery School in County Wicklow, is married to Sicilian, Claudio and has two children, Charlotte and Rowan. When not at home teaching her classes, she travels the country giving cookery demonstrations. • And is brand ambassador for Whirlpool Ireland and VW. Catherine is a graduate of the Jan 2000 12 Week Certificate course.